This entry was posted in FR and tagged nouvelles on October 28, 2015 by FEMEN. This entry was posted in FR and tagged nouvelles on October 27, 2015 by FEMEN. This entry was posted in FR and tagged nouvelles on October 26, 2015 by FEMEN. This entry was posted in FR and tagged nouvelles on October 24, 2015 by FEMEN. This entry was posted in FR and tagged nouvelles on October 5, 2015 by FEMEN. 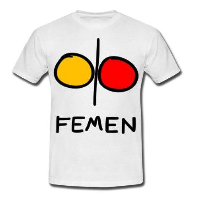 This entry was posted in FR and tagged nouvelles on October 4, 2015 by FEMEN. This entry was posted in FR and tagged nouvelles on October 2, 2015 by FEMEN. This entry was posted in FR and tagged nouvelles on October 1, 2015 by FEMEN. Les Femen vont-elles trop loin ?